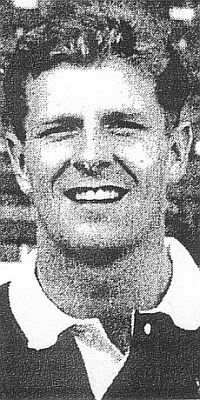 Burnley had been hit with the news that Ron Futcher would miss the start of the 1991/92 season after it was confirmed that he'd broken an arm in the play offs against Torquay, and that meant a new front man was a priority. Casper said: "After my conversation with Pearson, he is thinking over the terms while keeping his options open. I gather more clubs are showing interest in him." Leeds were believed to be asking a big fee for their former Sheffield Wednesday and Charlton striker but that wasn't putting off Burnley who had money to spend in the transfer market. We'd also had talks with a midfield player at a third division club. Casper wouldn't divulge the name but it was thought to be Preston's Warren Joyce with the Clarets expected to make a bid for him. There was no further news on either Steve Davis or Ian Measham (pictured) but Wolves were still believed to be ready to make an offer for Davis although the club had still heard nothing. "If they don't sign they will leave a gap that will have to be filled," the manager said. "I shall look closely at the situation regarding our young players but it could be that new signings would be necessary." Casper was set to hand over to his assistant Jimmy Mullen for ten days while he took a family offer but confirmed the search for new players would continue in his absence. Mullen's first task was a meeting with Measham. There had been speculation that Burnley might be trying to lure Blackburn striker Simon Garner to Turf Moor but this suggestion was dismissed instantly by Casper.